The Food Safety and Quality Authority (FSQA) is inviting applications from beach bar owners within the TDA to train on food safety skills. 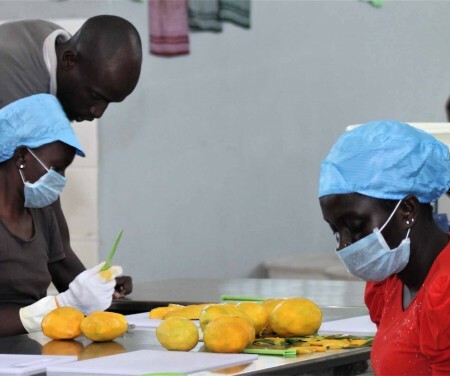 As part of “Youth Empowerment Project” being implemented by The Gambia in partnership with the International Trade Centre, and financed by the European Union, FSQA is seeking to enhance the capacity of young entrepreneurs in food safety skills as part of its food business development programmes. The training aims to capacitate food handlers in beach bars / restaurants and juice pressers with skills for the implementation of food safety management systems. Participants will be equipped, among others, with the skills and knowledge necessary to operate food businesses (e.g. beach bars, beach restaurants and other related operators) that are compliant with the food safety laws of The Gambia. This Training will result in higher food safety, protect consumers, improve businesses and contribute to the viability and growth potential of the food and tourism sector. The introductory training on food safety will be held over a course of 5 days. At the end of the trainings, participants are expected to have the necessary skills, knowledge and opportunities to operate food safety compliant food businesses. Participants will be trained on the food safety, its importance, best practices and systems (Good Hygiene Practices, HACCP and ISO 22000) used to minimize contamination and mitigate risks in food. FSQA will evaluate all applications submitted and select participants based on the qualifying criteria outlined. FSQA reserves the right to accept or reject any application received without giving reasons. Only those shortlisted will be contacted. Applicants are invited to submit a brief expression of interest mentioning why the applicant is interested in the training and a CV, in English, no later than 24th November 2017 at 12 noon. Proof of age must also be submitted. The training will be held from 4th to 8th December 2017.